Everything from the initial call to to the completed job was great! Zach & Carlos went above and beyond in explaining everything they were doing and did a fantastic job with the repairs & rewiring. 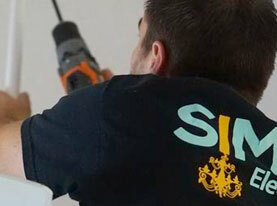 We will absolutely call Simon Electric for any future electrical work. Thank you!!! Zach and his associate did a fantastic job installing the switches, lights and receptacles I needed to have replaced. They were prompt, polite, professional and friendly. I would highly recommend Simon Electric. Only use Simon Electric! Everyone from the owners to the technicians are fantastic. Felt very comfortable with their knowledge and professionalism. Arron and Carter did a great job today! It was a nice experience working with the Simon team. I highly recommend them. Above and beyond expectations. Highly recommended. Zac and Billy were exceptional. These guys are amazing! We are a clothing manufacturer and Simon Electric did wonderful work for us in a few major department stores. The guys are professional, polite, punctual, and problem solvers. We ran into an issue at one of the stores and they came up with a solution quickly, ran to the hardware store, and got the job done. I hire local contractors all over the nation and Simon Electric has been by far our favorite company to work with. I will definitely be using them again in the future. Thank you to everyone at Simon Electric LLC! Sent Simon Electric emails, and they responded. They showed up in the time frame ! Really. professional, personable and was able to troubleshoot and fix the issue. Reasonable priced and they really appreciate their Employer (SimonElectric). Would not hesitate to call them again, I 'm a snowbird. Wishing, Simon Electric all the best. Today Zach and Aaron from Simon Electric showed up at my house on time and ready to get the job done right. We needed a junction box ( I think that is what it is called) installed in our living room far away from any other light fixtures in the ceiling (along with another minor electrical fix). The installation of the junction box was a very a difficult task as the attic crawl space is very, very limited. This however was not a problem for these two pros. They got the job done and at an unbeatable price. We are very, very happy with the work they performed and we would recommend their services to anyone. Great job. I recently hired Simon Electric to do some work in my home. I had workers in my house on two separate occasions and all of them did a great job in my house. They were respectful, patient and professional. 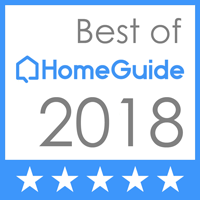 We ran into a few obstacles, which happens often when doing home improvement projects, but they took care of everything in a very timely and clear headed manner and got the job done. I am very satisfied with the amount of lighting in my kitchen now and in the other areas of my house. I am happy to recommend Simon Electric to others and will definitely call them for my future electrical needs. Thank you! I am writing this review for Nancy Melby who contracted with your company to install a fan switch and wiring for a kitchen fan. Your technicians were pleasant even though I was not able to project my needs to them. They installed the wall switch and I asked them to leave. In contacting your company I explained my situation and requested a refund. Your president was very cooperative and provided a complete refund of Nancy's money. I have no problem in recommending Simon electric in the future realizing there are many unique situations that a normal electrician may not be aware of. This was the case with her Casablanca fan that required a conversion from a normal remote control to a microprocessor system using a RF switch to activate the fan. I needed to get our panel replaced and updated. We have been in our house for 23 years so we thought it was time. The men arrived early and got started right away. It took them awhile because it was a very outdated system. But they were very courteous, upbeat, pleasant and very efficient. I am so very pleased with the service we received right from the beginning when I met with Raphael (hopefully spelled correctly). I would highly recommend this company. Big thanks to Zach, Damon and Aaron for a job well done. It was a pleasure spending the day with you (they deserve a bonus or a raise). I am sure I will be seeing you again in the future. DON'T HIRE ANYONE EXCEPT SIMON ELECTRIC - THEY ARE GREAT! If I could give Simon Electric 1000 stars I would. 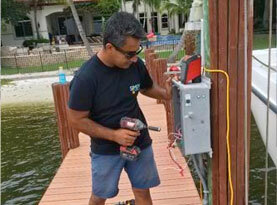 Rafael and his team are top notch, truly a breath of fresh air when it comes to Electricians. It only took about 5 min to receive their bid and Rafael answered his phone on the first ring. He spent the time to explain and educate me on my situation with installing an electric water heater as well as the panel upgrades needed. He stopped what he was doing and met me on short notice, very professional and was priced about 30% less then the closest bid I received on thumbtack. One thing really stood out to me was his attention to detail. He turned a stressful situation into a positive and painless process. 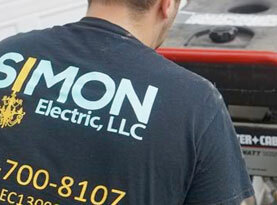 I will be using and recommending Simon Electric to all my neighbors, friends and relatives from here on out. Great job! Our electricians (Jordan and Ryan) were very professional, hard working, on time, knowledgable, and courteous. The rest of the staff I talked with on the phone who provided information were also very helpful and gave me all the prices beforehand. Rates are fair and reasonable. I will definitely use them again. Great price and awesome staff! I needed some electric work done and found Simon electric, I will always use them for future projects! They were pleasant to work with and did an excellent job. I feel very satisfied and safe with the work they did. Thank you Simon electric! I would recommend them to anyone that is looking for an electric company! Excellent work, and great customer service for a great price! Definitely will be calling Simon Electric for my next project! Thanks guys! I would definitely recommend this company. I had a great experience. They were polite, prompt, and didn't leave a mess! Ryan was fast and efficient installing our new bathroom lighting fixture. He cleaned up nicely afterwards as well. I will definitely seek out Simon Electric for my future electrical needs. We just wanted to let you know that Shawn & Ryan did an exceptional job installing the 8 ceiling fans. 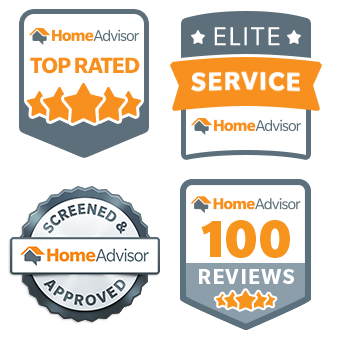 They were knowledgeable, efficient, friendly, and courteous. Just wanted to share positive feedback on your employees. Excellent customer service from Ryan and Doug. They showed up timely, were professional and efficient. Thank you and Happy New Year. I've called to schedule Simon Electric company and ask for an estimate for the job of upgrade my condo electric panel. They came an hr late to start. The electrician Raphael was kind arrogant at first by answering my concerns questions. When they finished the work and I was ready to pay, the electrician Raphael ask me what was the total $ amount his office quote me that I must pay and I replied with the $ amount and he said "are u sure about the amount?" He made me feel like I was lying to him. It upsetting me because I am an honest person. At the end of the job he(the electrician) didn't even explain to me how the new electric panel will work from this point on the writing functions. I myself had to ask him about where was the the a/c water heater turn off key in the panel? Then he had to showed me. They did the job. But I felt that they were doing me a favor. No..,no. I pay them for the job. My electrician was willing to hang a ceiling fan by standing on my bed since my bed is almost impossible to move without two strong people. He took off his shoes, I put down a blanket and he worked diligently. I felt badly for him but not one complaint! Great guy! WOW.. Came in got the job done.. Did a GREAT job and restored my peace of mind.. I am so so very thankful and happy with the job and the response. I will never let go of this number!! I have used Simon electric twice and both times Rapheal and his team did excellent and timely job at fair price. I would call on them if in future I have any electrical concerns. 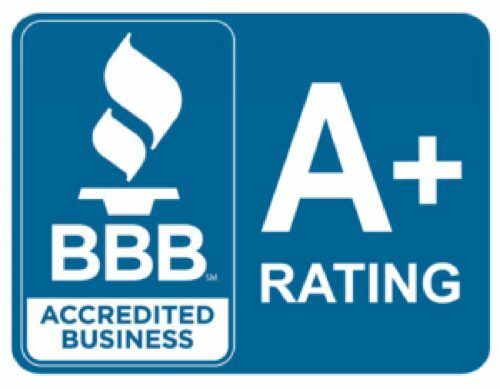 My experience with Simon Electric is that they are a very punctual as well as professional company and did an amazing job installing my ceiling fan for an amazing price.In addition they did a great job cleaning up after themselves....... AWESOME! Simon Electric is awesome! Raphael and his team are so knowledgeable, honest, and trustworthy. Very tenative, and always do a great job. I will never use anyone else for my electric needs! Thanks Simon Electric, for a job always well done! Simon Electric is the best company we have ever worked with. Very professional and efficient to our needs. I would call them every time we need electric concerns!